Join us on November 3, 2018 from 1:00pm-5:00p at AMF Willow Bowl Lanes SH249 Houston, TX 77070. 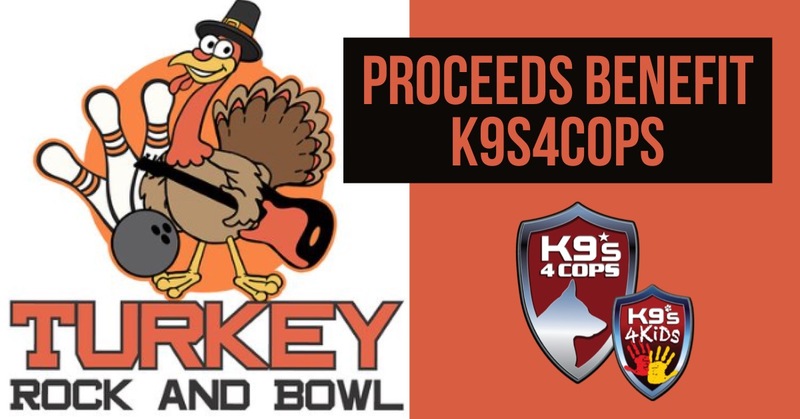 Proceeds benefit K9s4COPs & Friends for Charity Volunteer First Responder Scholarships. Register for the Turkey Rock and Bowl by clicking HERE. We are so excited be apart of this awesome event! Previous PostWelcome K9 Halle!Next PostK9s4COPs wins 2018 Top-Rated Award from GreatNonprofits!